Make a wheeled robot that completes a challenge on a whiteboard table. You will design and build your own robots by utilizing distributed parts, materials in the classroom, and the IDeATe facilities. You will form teams of two to accomplish one of the above challenges. Some are more difficult than others, so choose carefully. For an extra challenge, try completing the BONUS for your challenge. You only have a couple of weeks, and a lot to learn, so the focus of your time should be on ideation, not perfection. 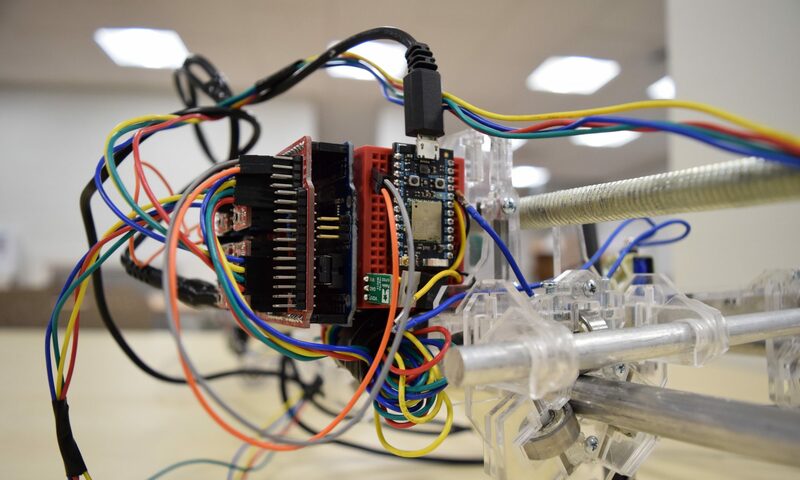 This project starts to build your skills in rapid prototyping, basic electronics, kinematics, and basic microcontroller programming.